Normandy has a long history, which didn’t start on D-day when the Allies landed. It was already a rich province at the time of Charlemagne, with prosperous cities and a lot of monasteries. Rouen was the second wealthiest city of the Kingdom of Francia Occidentalis (not yet France) after Paris, when Viking boats appeared offshore. Coming from the north, they were the “Norsemen”, or Normans. They first raided in order to pillage and capture slaves, in the 9th C. Then, they started settling in the area of Rouen. In 911 the king of Francia gave them the county of Rouen, and their chief Rollo is considered nowadays as the first Duke of “Normandy”, the land of the Normans. Under the leadership of the Dukes, Normandy became one of the richest states of Europe which had a lot of influence on the history of the continent. William the Conqueror, the seventh Duke, invaded England in 1066, and became its king. It was his family who governed both of Normandy and England for two centuries. Normandy was captured by the king of France, Philip August, in 1204, but a little more than one century later started a long war between France and England : the Hundred Years War. Normandy was destroyed several times, but was always able to rise from its ashes. Track William the Conqueror in his country : he was born in the castle of Falaise, and is buried in the Abbey of the Men in Caen. The story of the invasion of England is on the nearly one thousand-year old Tapestry of Bayeux. 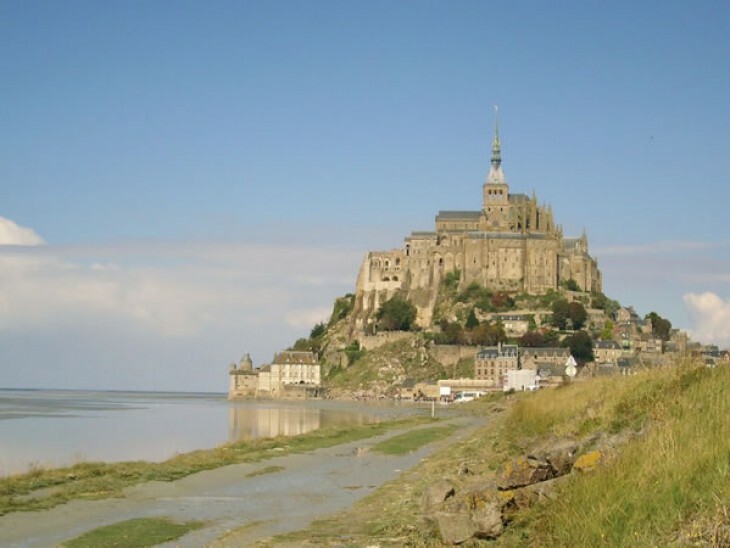 Come to see the castles, churches, cathedrals, and abbeys built in the middle ages and discover the remnants of the time when Normandy was part of the leaders of Europe!